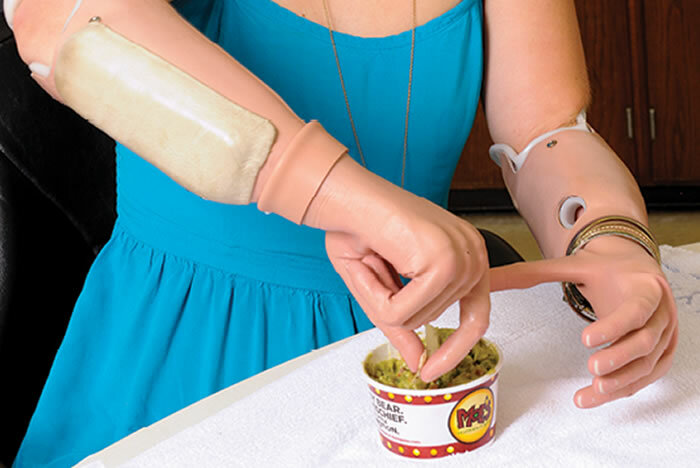 In occupational therapy, Aimee Copeland focuses on learning to perform life skills and daily tasks with her prosthetic hands, such as eating lunch from Moe's. Learning to control her prosthetic hands is a challenge for Copeland. "It feels like my hand is in wet concrete that has almost completely dried," she says, "and I have to try to move it." Stairs and ramps are difficult to navigate with two prosthetic legs, requiring incredible strength and balance. Building up endurance is a large part of Copeland's physical therapy. Copeland has made several television appearances and is frequently asked to speak to student and community groups about her experiences. Back in 2012, Aimee Copeland's story — a freak accident that resulted in multiple amputations, when necrotizing fasciitis set in — garnered national attention. 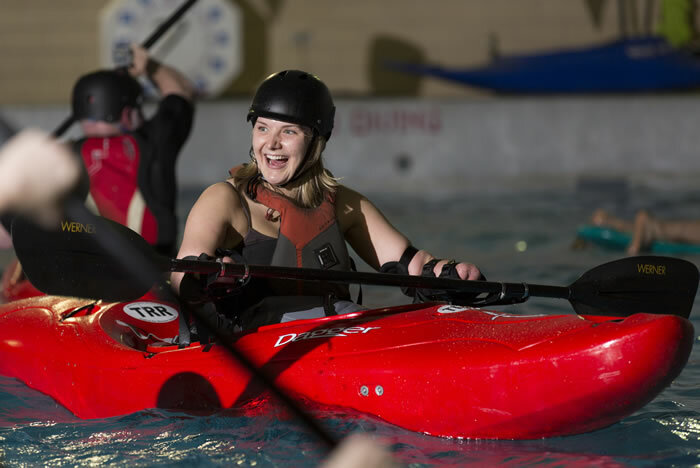 Since then, through grit, determination, and some high-tech hardware, this young woman is resuming her adventures, including college and kayaking. For months she has undergone the hard work of rehabilitation therapy at Emory Rehabilitation Hospital, located off Clifton Road. The zip line wasn't the fancy kind you see at resorts or parks, with safety straps and secure buckles. It was more of the homemade variety — bicycle bars sliding over a dog-runner cable. Four days later, after increasing pain and several more ER visits, she was on a life-flight to the JMS Burn Center in Augusta, diagnosed with necrotizing fasciitis — commonly known as "flesh-eating bacteria" —which was spreading rapidly through her body. "The Evolution of Aimee Copeland"